Kniazkova Iryna Ivanivna - doctor of medical science, professor, responsible for the work of the department as a base in the discipline "Clinical Pharmacology", the specialty "Dentistry". Denysenko Viktor Petrovych - doctor of medical sciences, professor, responsible for educational and methodological work. Zlatkina Vira Vladyslavivna - doctor of medical science, professor. Nemtsova Valeriya Daniilivna - candidate of medical science, associate professor, responsible for methodical work and publishing activities. Ilchenko Iryna Anatoliivna - candidate of medical science, associate professor, responsible for clinical work. Kirienko Oleksandr Mikolaiovych - candidate of medical sciences, professor assistant. Korniichuk Vladyslav Ihorovych – professor assistant, responsible for scientific work. 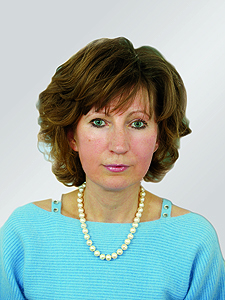 Chumakova Kateryna Volodymyrivna – professor assistant, secretary of the department. The Department of Clinical Pharmacology and Internal Diseases was founded in 2003 and is the base department of Clinical Pharmacology in Ukraine. The courses on the department includes: "Clinical Pharmacology" for students of the V course of medical faculties, the dentistry faculty, faculties for the teaching of foreign students, "Internal medicine" for students of the V course I medical faculty, as well as optional courses: "Actual questions of cardiology" (for VІ course students), "Phytotherapy" (for IV course students), "Actual questions of gastroenterology" (for V course students), "Age aspects of clinical pharmacology" (for V course students). Modern technologies are widely used in the educational process. The multimedia course of lectures on clinical pharmacology has been developed. The textbook "Clinical Pharmacology" (Ukrainian and Russian languages) was published. 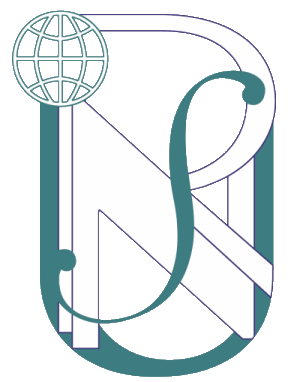 For English-speaking students manuals were developed at the department. Since 2003, the department has been the basis in the discipline "Clinical Pharmacology" in Ukraine, and since 2011 is the basic department in the clinical pharmacology for the dentistry speciality. Investigations of the role of cellular, immune-inflammatory, neurohumoral mechanisms and endothelial states in hypertension, atherosclerosis, angina pectoris, acute myocardial infarction, chronic heart failure and their complications and associated conditions, as well as the development of pathogenetically substantiated treatment regimens. Optimization of the diagnostic algorithm for the arterial hypertension and the development of a therapeutic strategy of different age groups patients with arterial hypertension, personalized therapeutic algorithms of comorbid states, in particular coronary heart disease, metabolic syndrome and type 2 diabetes. Optimization of diagnosis and treatment of comorbid pathology (hypertension and type 2 diabetes mellitus) on the basis of cardiohemodynamics evaluation, metabolism and pharmacogenetic analysis. Clinical base of the department is the Government Institution «L.T.Malaya Therapy National Institute of the National Academy of Medical Sciences of Ukraine, which, together with the department constitutes the common research educational association. Since 2013 the North-Eastern Scientific Center of the Ministry of Health and the National Academy of Medical Sciences of Ukraine has been working here. At the department, as a result of scientific work, a method for evaluating the morpho-functional status of the endothelium in patients with hypertension and type 2 diabetes mellitus was proposed, which helps to optimize the detection of signs of early reconstruction of the vascular wall in these patients, allows to verify the signs of endothelium disorders, depending on the quantitative indices of oxidative stress and antioxidant defense systems. Main scientific works: “History of Pharmacy of Ukraine” (1999); "Pharmacotherapy of internal diseases and their urgent states" (2001); "Clinical Pharmacology" in 2 volumes (2005); "Clinical Pharmacology of Antibiotics" (2007); "Clinic and genetics of hereditary diseases accompanied by gastrointestinal and general abdominal symptoms" (2008); "Obesity in the practice of a cardiologist and an endocrinologist" (2009); A manual in three parts: "Diagnosis, treatment and prevention of major cardiological diseases"(2010); The textbook is completed for medical universities of III-IV accreditation level, "Clinical Pharmacology" (2010); A manual "Chronic Heart Failure: Pathogenetic Mechanisms and Clinical Aspects of Treatment" (2012); the monograph "Prevention of non-infectious diseases" (2016), textbooks "Rational diagnostic and pharmacotherapy of diseases of internal organs" (2016), manuals "Clinical pharmacology" (2017), "Clinical pharmacology of urgent states in the dental practice" (2017). Under the supervision of prof. Bilovol O.M. 8 doctoral and 11 candidate's theses have been fulfilled. 2 doctoral and 5 candidate's theses are being prepared under his scientific supervisor. The staff of the Department of Clinical Pharmacology take part in international congresses, scientific practical conferences devoted to modern methods of diagnostics, treatment and prevention of diseases of internal organs. The staff of the department collaborates with the laboratories and departments of the GI “V.Ya. Danilevsky Institute of Problems of Endocrine Pathology of the NAMS”, GI "D.F Chebotarev Institute of Gerontology NAMS of Ukraine ", GI “prof. 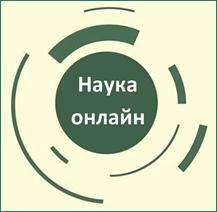 E. Sitenko Institute of the Spine and Joints Pathology of NAMS of Ukraine", GI “Institute of Children and Adolescents Health Care of the NAMS of Ukraine”, GI “Institute of Neurology, Psychiatry and Narcology of NAMS of Ukraine", GI ”V.T. 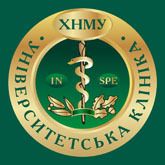 Zaitsev Institute of General and Emergency Surgery of NAMS of Ukraine”, GI «L.T.Malaya Therapy National Institute of the NAMS of Ukraine”, departments of the National University of Pharmacy, Vinnitsa National Medical University named by E. Pirogov, the Ukrainian Medical Dentistry Academy, the National Medical Academy of Postgraduate Education named by P. L. Shupik, the Academy of Internal Troops of the Ministry of Internal Affairs of Ukraine, etc. Teachers of the Department carry out consulting and medical work at the basic departments of the Government Institution «L.T.Malaya Therapy National Institute of the National Academy of Medical Sciences of Ukraine", Regional Center for the Prevention and Treatment of Arterial Hypertension. Taking part in the brigades they provide counseling and treatment assistance to the rural population of the Kharkiv region. The staff of the department take part in Days of the therapist, clinical and pathoanatomical conferences.